Paul van Dyk’s Vandit Records celebrates its 15th anniversary and decided to revisit some of the classics. 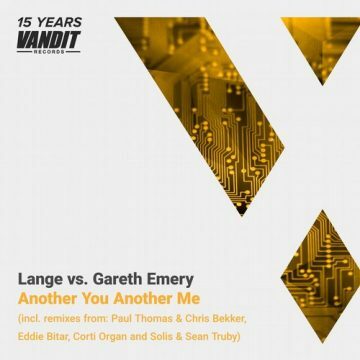 They invited us to do a remix on our favourite and we chose Lange vs Gareth Emery – Another You Another Me. Released on a remix EP along the mixes by Eddie Bitar, Solis & Sean Truby, Paul Thomas and Chris Bekker. Support by Ben Gold, Mark Sherry, Tempo Guisto, M.I.K.E. Push, Paul Trainer and Paul van Dyk and Armin van Buuren on #ASOT738 and many more.